Connectivism, Personal Learning Networks, and Communities of Practice are all linked together. They all have to do with learning new information from an outside source you are connected to. Connectivism is the umbrella term, while PLN’s and CoP’s fall under this category of making new connections. Because of the development of technology, these connections are now not limited to physical interactions. 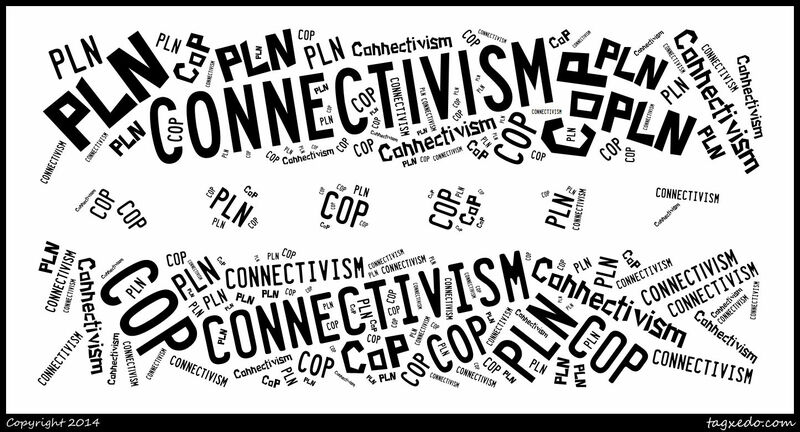 These connections are the foundation and link of PLN’s, CoP’s, and Connectivism. Regardless of Connectivism being a theory or not, it is something that is relevant for the digital age. Because of the development of technology, the increase in making new connections is at our fingertips. I believe that Communities of Practice, and Personal Learning Network’s fall under the category of Connectivism. With the development of social media, communities of practice have no limit. Before the internet, learners would form these groups with people they had immediate face-to-face access to. This was the only way to communicate and share information. However, communication has evolved. There are now no restrictions to who is in your community. A Personal Learning Network is much like a CoP in that it is a group of people that someone associates with in order to learn more information about a certain topic. The great thing about PLN’s is that the learner can design their PLN to meet their needs and technology capabilities.